Microsoft drew a line in the sand on Tuesday, as its Office 365 chief said that editing and viewing documents on small-screen devices would continue to be free—likely killing off the idea of a small-screen Surface Pro mini, incidentally. Kirk Koenigsbauer, the corporate vice president for the Office 365 Client Apps and Services team, revealed in a blog post that Microsoft believes that 10.1 inches is the dividing line between a “personal” and “professional” experience. Pros need the reliability and security of paid apps, while “personal” users are more interested in free. Other platforms do allow small-screen users to create documents without an Office 365 subscription: Office for iOS, for example. On these mobile devices, the core editing and viewing experience will be free, Koenigsbauer wrote, until you get to those “premium, subscription features,” like integration from one app to another, security, and reliability—all part of the Office 365 suite, and not the individual apps. Why this matters: Everyone understands what differentiates a desktop from a phone. But as the lines between phones, tablets, and phablets blur, software vendors have to make a decision: What does the software experience look like as the screens they’re displayed on grow and shrink? At Microsoft, that dividing line will be about the dimensions of the Surface Pro tablet: 10.1 inches. And given that Microsoft’s definition of “professional” doesn’t include anything under 10.1 inches, that's game over for a small-screen Surface Pro tablet. A Microsoft spokeswoman said Wednesday that, yes, you'll be to create new documents on the free versions of Office, as well as view and edit them. The specific subscription benefits that Microsoft is touting include the terabyte of OneDrive storage, 60 minutes of free worldwide Skype calls and more robust editing tools that come with the full Office 365 suite. Office will continue to cost money on larger tablets like the Surface Pro 3. The Surface Pro 3 measures 12 inches on the diagonal; the Surface Pro 2, 10.6 inches. 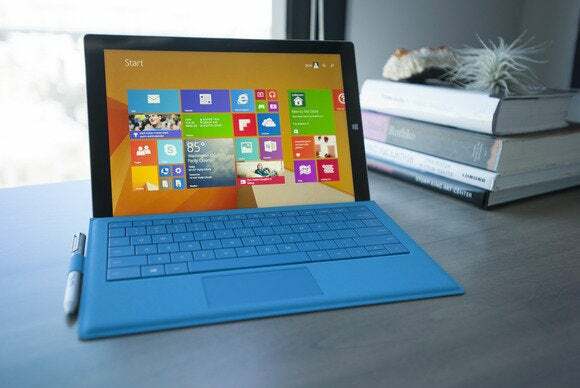 (The Surface 2 also measures 10.6 inches on the diagonal, but it’s been essentially discontinued.) With Microsoft’s new definition of screen size as the divider between “personal” and “professional” use, it seems to imply two things concerning the Surface and Surface Pro lines. First, any hopes of a small-screen Surface Pro mini are effectively dashed. Jan Dawson, principal at Jackdaw Research, said that we might still see a non-Pro Surface model—AKA the Surface 3—at less than 10.1 inches, however. In any case, Koenigsbauer said that Microsoft will continue to push its free individual apps, such as Word, PowerPoint, Outlook, Skype, and others, to third-party hardware makers, as Microsoft did Monday. The company partnered with Samsung, Dell, and others to bring Office and Office 365 to Android tablets. 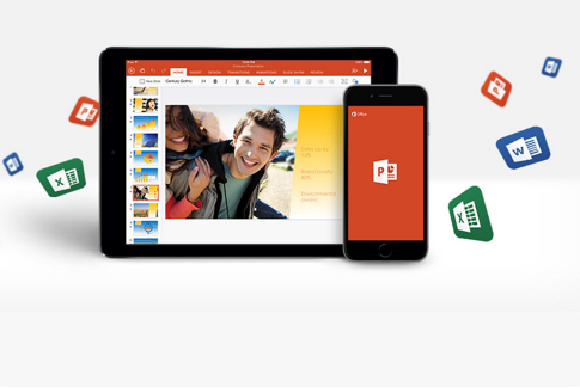 Office for iOS has been downloaded more than 80 million times already, Koenigsbauer said. Office 365 Home and Office 365 Personal grew to more than 9.2 million subscribers in the last quarter, up 30 percent, he said. And as Microsoft continues to push its apps across the whole of the computing ecosystem, that number will continue to grow. Updated at 1:28 PM on March 25 with additional comment from Microsoft.